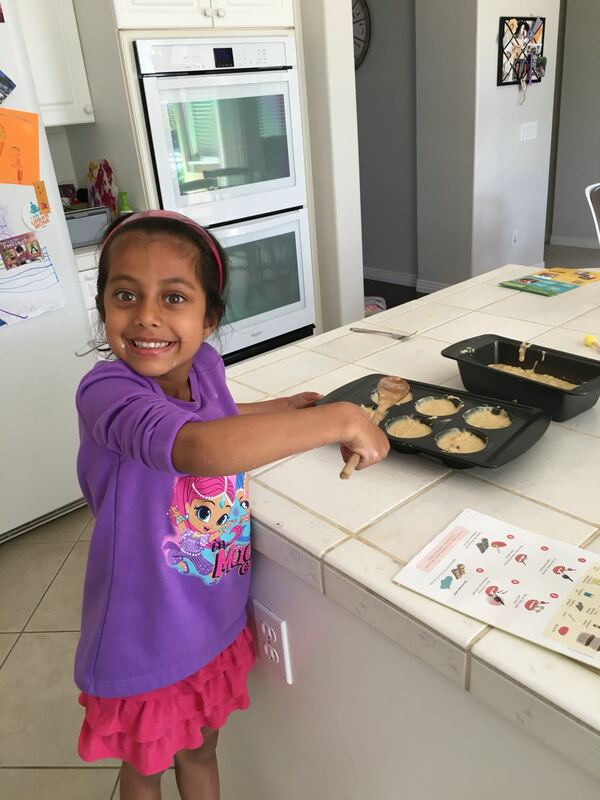 We love the start of a new year because of the fresh start, the newness of everything and a few months in, because of the Indian celebration of the Festival of Colors called Holi…it’s been so much fun over the years to celebrate by trying out different Holi activities with the kids. For those of you who don’t know, Holi falls on March 1-2 this year, but so many events happen over the entire weekend and into the coming months. What a fun time of year! Holi is a symbol of the triumph of good over evil. It marks the onset of spring and is celebrated to give thanks for a good harvest. What’s more…the word ‘Holi’ translates into the word “hola” in Sanksrit, which means offering prayers to God for a bountiful harvest. The festival revolves around smearing color on each others’ faces, splashing people with water by throwing water balloons at them and indulging in sweet treats. Sounds like a good time to us! For the past few years, we’ve all headed out to Holi celebrations and living in Southern California, the events held by the beach are extra special. 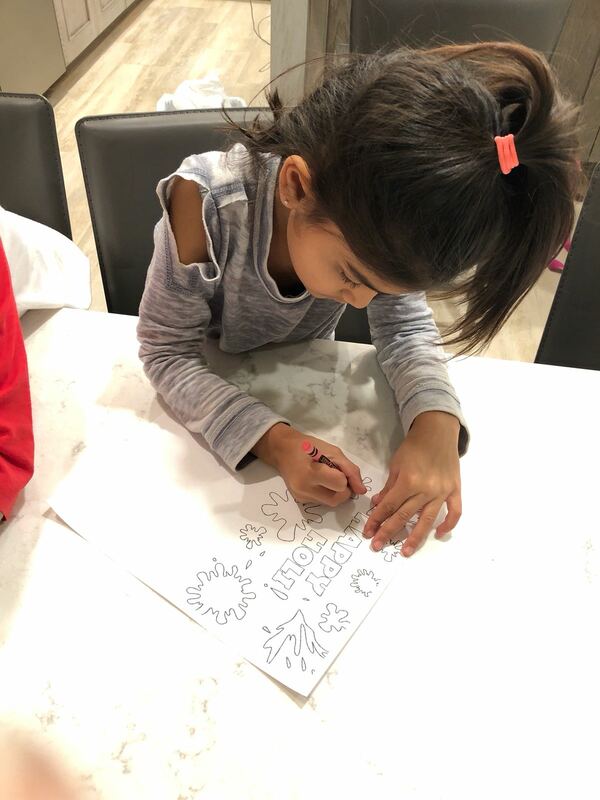 But there are so many other ways to get the kids involved and learn about this festival to create even more Holi inspired moments. 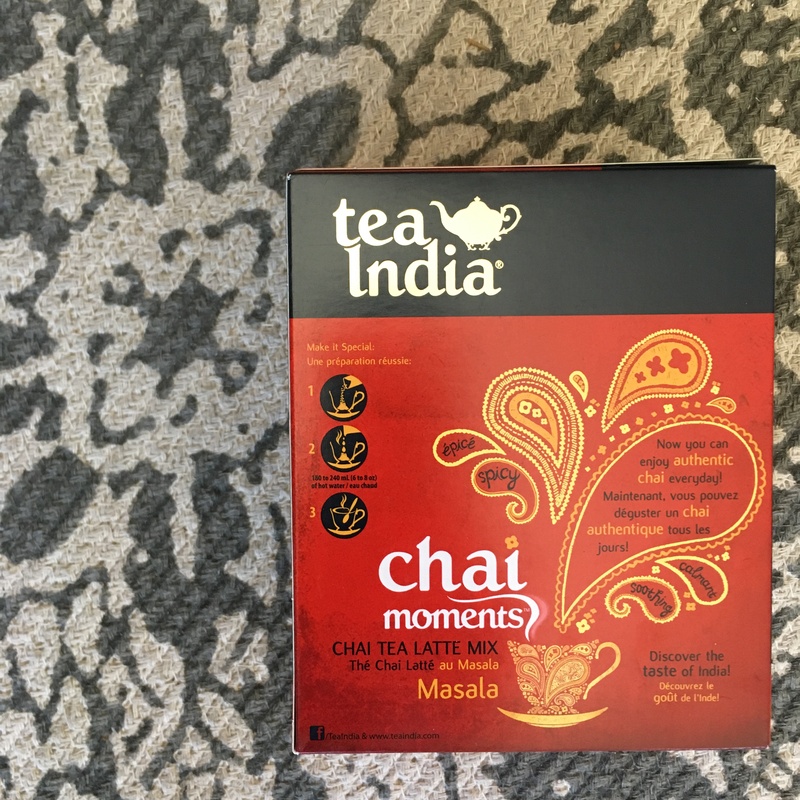 So with a cup of chai in hand for an always needed chai moment — thanks to Tea India for these super convenient Masala Chai Tea Latte single serve packets, omgosh SO easy and SO good!! — we are here to inspire you with how we are getting into the spirit of Holi this year! 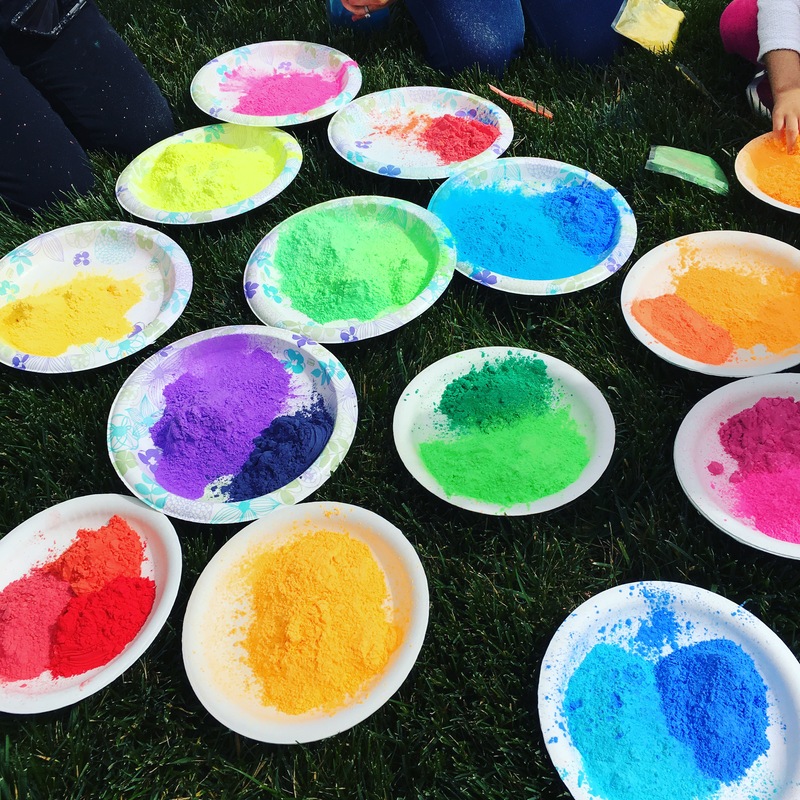 We love the idea of creating Holi t-shirts with the kids. Don’t need much more than some plain t-shirts and colorful fabric paints. 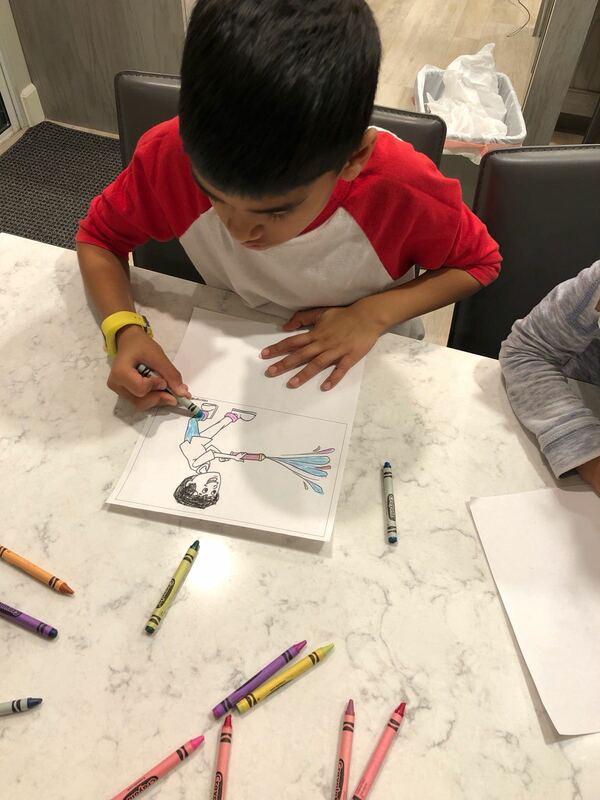 Set up a color station with crayons, markers plus Holi coloring sheets – there are ton out there and for free, if you just do a quick google search. Here’s a link to some that we love! Keeping with the color theme, bake confetti pop cupcakes or cookies, top with colorful icing (we love this coconut oil based one) and rainbow sprinkles (these are dye free). OR you can buy Holi Hooray! color powder from our friends at Jai Jai Hooray (if you order today then there’s still time to get it before the weekend!!) These powders are kid-safe, non-toxic, and washable…cornstarch-based, made in the USA and gentle enough for a baby. 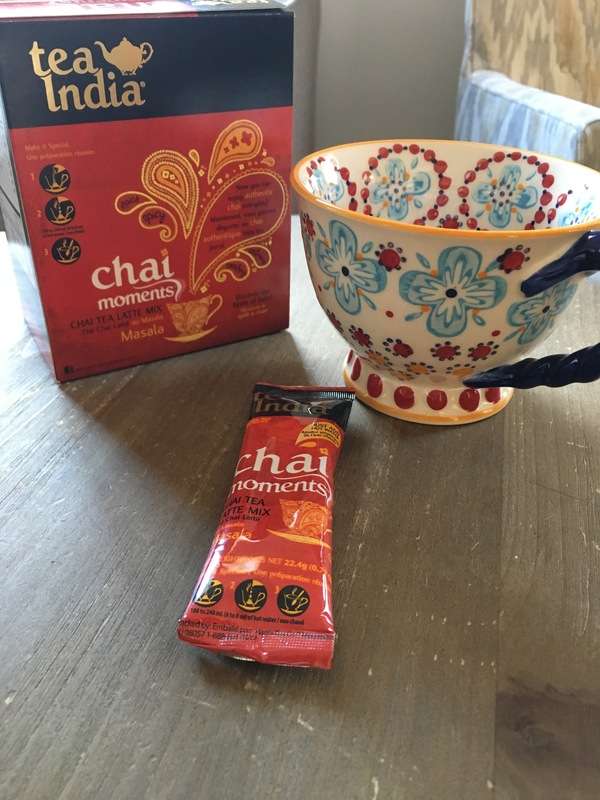 Thanks Jai Jai Hooray–you make it so easy to pass on traditions and create new ones!